Hello fellow traders. The video below is a capture from the SPX Strategy of the day video from 12/19/2016 held by Daud Bhatti. Our Elliott Wave forecast suggests the index is within bullish cycle from the 2084.6 low. It’s missing a swing to the upside, looking for 2316.85 area. As Daud explained in the video, while the price holds below 12/13 peak, double correction can be seen in wave (b) blue. As always, we recommended our members to go with the trend. Suggestion was to avoid selling the index and keep buying the dips at 2242.8-2235.8 against the 2224.6 level. Eventually SPX made proposed double three Elliott Wave pattern toward green box ( buy zone). The index found buyers there and made new high above 12/13 peak. Members are now enjoying profits in SPX with risk free positions. Keep in mind market is dynamic and the view could have been changed in the mean time. If you’re interested in the future path of SPX you will find Elliott Wave analysis in the membership area of EWF. If not a member yet, Sign Up for Free Trial now and get new trading opportunities. Through time we have developed a very respectable trading strategy which defines Entry, Stop Loss and Take Profit levels with high accuracy. If you want to learn all about it and become a professional Trader, join us now for Free. You will get access to Professional Elliott Wave analysis in 4 different time frames. 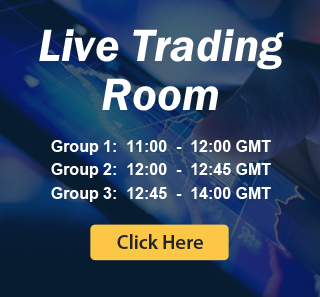 Strategy of the Day/Week Video, Live Trading Room, 2 live Analysis Session done by our Expert Analysts every day, 24 Hour Chat Room support, Market Overview, Weekly technical videos and much more. Elliott Wave Forecast keeps you on right side of the market.